Our digital life is determined by innovations. Especially in recent years, more innovative technologies were developed to facilitate our professional and everyday life. 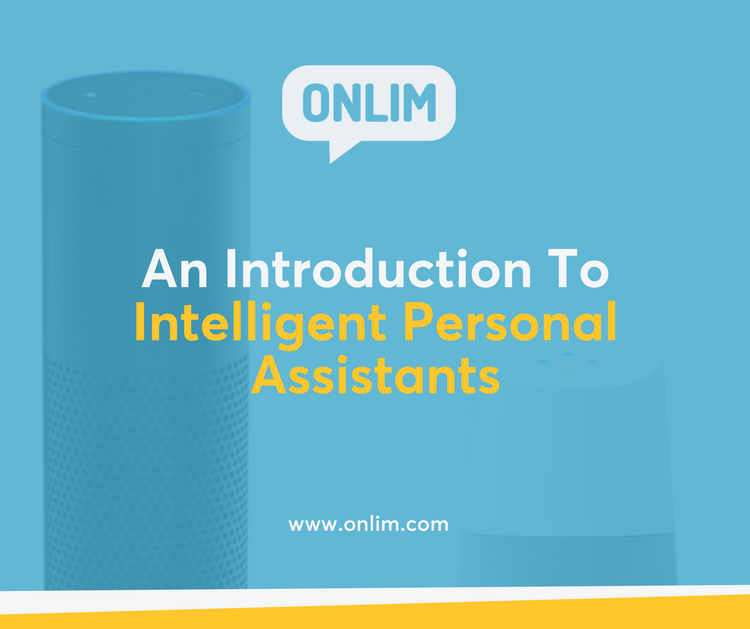 Intelligent personal assistants are an important achievement, which have become an indispensable part of the ubiquitous digitalization process. These virtual assistants can be found in all gadgets such as smartphones, tablets and also smart watches now. The increasing competition in this area has led to many improvements. Big companies like Amazon, Google, Microsoft and Apple offer a complete digital infrastructure that can be controlled by voice assistants. How does an intelligent personal assistant work? A virtual assistant is a technology based on artificial intelligence. The software uses a device’s microphone to receive voice requests while the voice output takes place at the speaker. But the most exciting thing happens between these two actions. It is a combination of several different technologies: voice recognition, voice analysis and language processing. When a user asks a personal assistant to perform a task, the natural language audio signal is converted into digital data that can be analyzed by the software. Then this data is compared with a database of the software using an innovative algorithm to find a suitable answer. This database is located on distributed servers in cloud networks. For this reason, most personal assistants cannot work without a reliable Internet connection. With the increasing number of queries the software’s database gets expanded and optimized, which improves voice recognition and increases the response time of the system. Amazon succeeded in taking an important step towards the development of an entire infrastructure for virtual assistance in 2014 as the company introduced Echo, the first Smart Speaker. Later, Google and Microsoft created their intelligent loudspeakers – Google Home and Harman Kardon. Apple entered the race with its Apple Homepod only in 2018. Smart Speakers are stylish objects which are used in home environment and combine the functionality of a music speaker and an intelligent assistant. Equipped with an innovative voice recognition system, they are able to recognize the user’s voice from a distance of more than 5 meters. Such smart speakers differ from other common gadgets, which are personal items that have to be taken along all the time. Smart speakers are designed as stationary entertainment objects for the whole family and can be used by all family members. It is not surprising that the voice recognition software, on which a smart speaker is based, feels most comfortable in its own digital ecosystem. Google Assistant is at its best with Google Apps, Google Home and other Google devices. And Alexa, the voice software from Amazon, behaves the same on gadgets from the Amazon family. Cortana, the software of Microsoft, is an exception. With this product Microsoft wants to establish itself as a leading provider in the area of virtual assistance for businesses. Cortana is therefore optimized for Microsoft business applications such as Office or Dynamics, as well as for the LinkedIn platform. In addition, the American software giant succeeded in convincing two automobile manufacturers to implement Cortana. Nissan and Volkswagen vehicles will be equipped with Cortana voice recognition software. The concept of all voice recognition systems is similar, but each system has its own unique features. Google Assistant does particularly well in understanding the context of what has been said. The system benefits from the gigantic database of search entries. On other assistants you have to send commands more precisely so that the desired task is completed correctly. Google is most likely to know what you want if you try it in different ways. Moreover, it will soon be possible to communicate with Google assistant in several languages. Recently, the system has also included so-called routines. These are voice commands that can involve a chain of actions. The sequence of commands is programmed by the user. The system can be expanded with one of the 15 000 skills. Skills are special extensions that offer more functionality. For example, there are many translators of the most common languages, assistants for television programs, but also news and weather skills. Skills that read audio books from Amazon Kindle are also very popular. Alexa also enables an optimal collaboration of all compatible devices as well as automatic voice recognition. So you can also get individual suggestions from Alexa. Siri also has her talents, especially when it comes to networking and collaboration between Apple’s numerous devices. Voice recognition works with the same precision on older gadgets, which are still allowed to receive updates, and on completely new ones. The personal assistant is even integrated into the Apple TV remote control and offers numerous options. Siri’s big advantage is the number of supported languages. Apple offers 21 languages for 36 different countries. Siri enables very good speech recognition and is also able to recognize the individual voice of the speaker. Unfortunately, this option is not yet available for HomePod. Cortana from Microsoft is available on every platform and can be used under MacOS and iOS, as well as on Android, Windows 10 and even Xbox One. Important meetings, reminders and notes are available on all devices. Due to its Windows 10 integration , Cortana is most widely used on desktop PCs and notebooks and offers good support for Office or Outlook. Microsoft’s Personal Assistant stores all personal information directly on the device and even allows users to view the stored data. In order to extend the functionality of its personal assistant, Microsoft has announced that Alexa will be integrated into Windows 10 alongside Cortana in 2018. But it is not clear how the tasks will be distributed. Developers of intelligent personal assistants extended their application systems with smart hubs. Those home automation systems enable a connection of all household appliances, thermostats, windows, security systems and much more. However, home objects must have a special format that is compatible with the respective system of Google, Amazon or Apple, for example. Manufacturers of automobiles want to equip vehicles with intelligent personal assistants. They can receive real-time data and do many things that are normally done manually. For example, the technology can remind the driver of upcoming meetings and suggest departure times that take into account current road and traffic conditions. The future of intelligent personal assistants depends to a large extent on how natural and fluid the communication with the user can take place. For a real conversation or useful cooperation with an assistant it is essential that it develops a high degree of contextual understanding. The virtual assistant must not only be able to remember many facets of communication with the user, and also recall them at the right time. It must be able to refer to what has already been said and understand difficult nuances. Google is doing best at understanding context, but the assistant is still far away from understanding the most diverse nuances of human language. Many things that we take for granted, such as “favourite restaurant” or “mood-lightening music”, are still a real challenge for personal assistants. An improvement in contextual understanding is therefore one of the keys to success of such systems, as they enable interaction comparable to that of human beings.